Hello! Welcome to the first day of Taylored Expressions April Sneak Peeks! The Baker's Dozen is kicking off 4 days of projects (3 days of peeks and release day). We are releasing 10 new stamp sets and 9 new dies! All products will be released on Thursday, April 3, @ 7 AM PST. Before I get to my projects, I want to welcome our Guest Designer for the next 2 months... Jeanne Streiff! She is a wonderfully talented stamper and has cooked up some gorgeous projects for the release! Welcome, Jeanne! My first project uses the new Care & Comfort II stamp set. 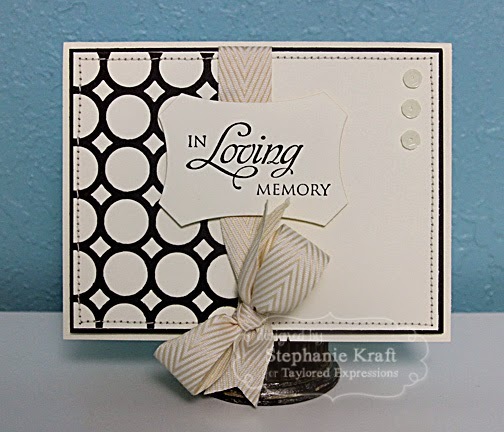 I combined it with the new Spotted Cutting Plate to create a clean and simple card (which is especially hard for me). 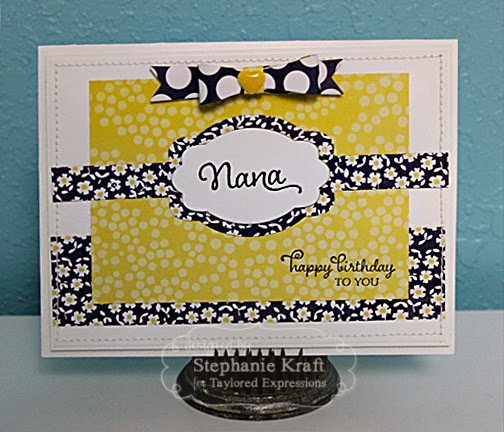 My second card uses Greetings for Her as well as a couple of new dies, Band It 2 and Mini Mix & Match Bows. Accessories: Taylored Dies: Label Stacklets 8, Spotted Cutting Plate (TE); Sequins, Ribbon (May Arts), Foam tape, Thread, Sewing machine. 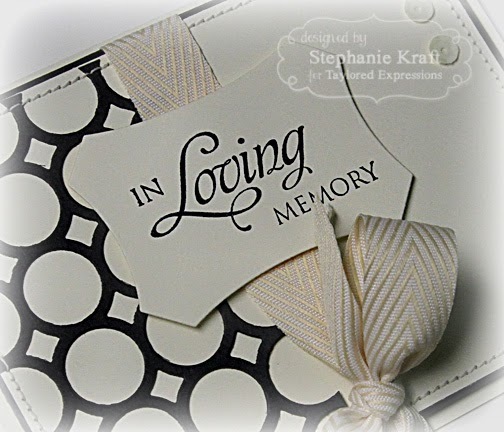 Accessories: Taylored Dies: Band It 2, Mini Mix & Match Bows (TE); Enamel heart (We R Memory Keepers), Foam tape, Thread, Sewing machine. Beautiful cards! Your sympathy card is wonderful. They are the cards I struggle with the most. This is really nice. 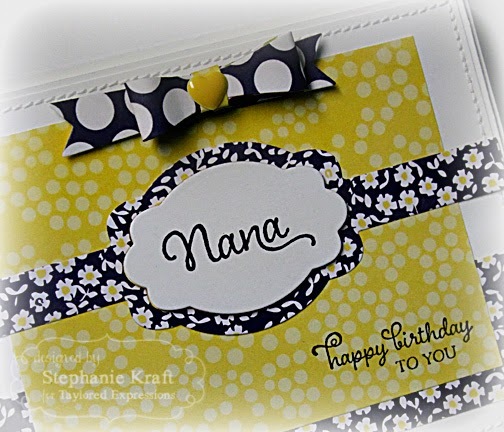 Love the elegance of your first card!! Just beautiful!! The second one is very warm! I love the Care and Comfort stamp set and hope to add them to my collection!! TFS! So pretty & I love the colors! I like the color combos AND the layouts. Your inspiration is tickling my brain.